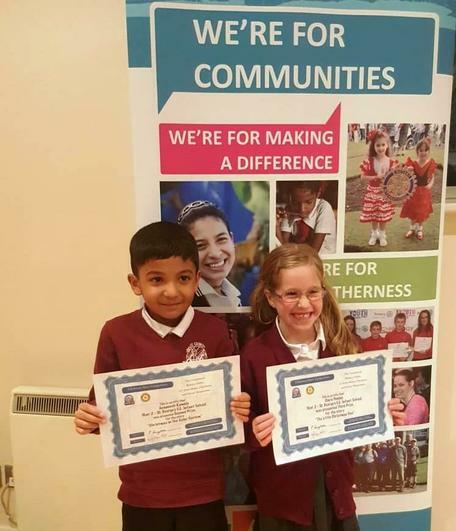 Two Year 2 Pupils, Clara and Aveneesh, were rewarded with a prize giving ceremony in Great Missenden last night to celebrate their wonderfully creative winning entries to the Rotary Club Christmas Story competition. 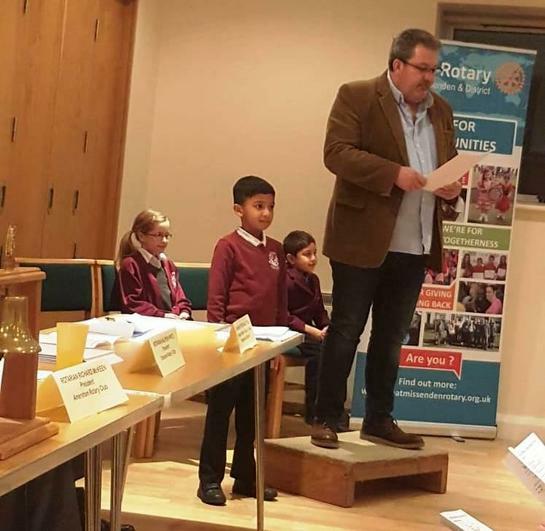 The Panel of judges awarded marks for originality, interest and compliance with the 100 word limit, as well as spelling, grammar and handwriting. 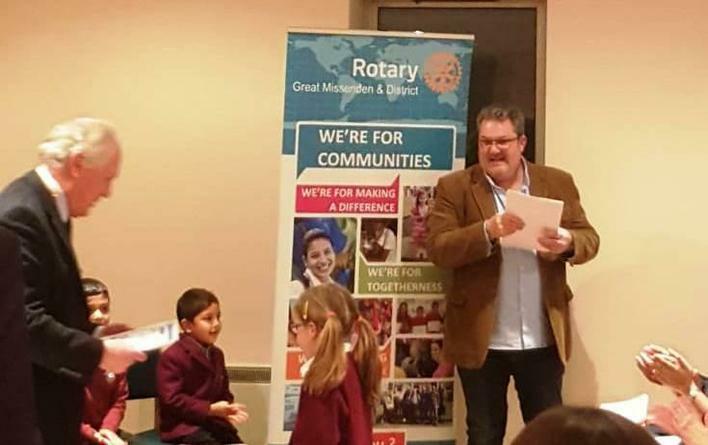 Each child's story was read aloud by Nick Gallant, who did a wonderful job. 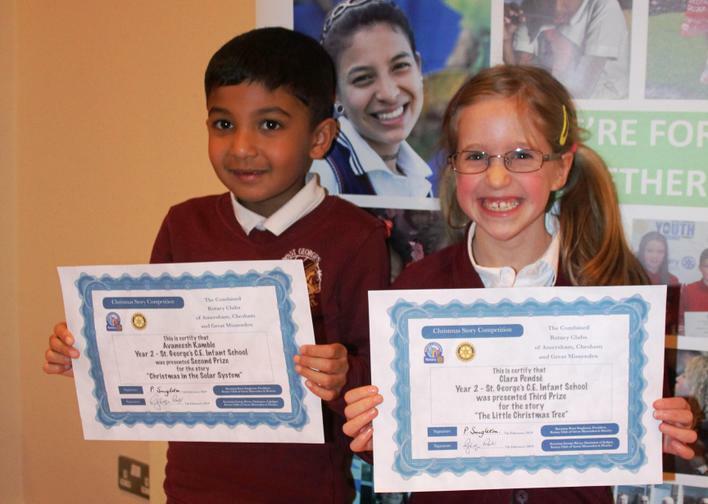 Each child was also presented with a certificate, book token and a golden ticket to the Roald Dahl museum. They were all made to feel very special. 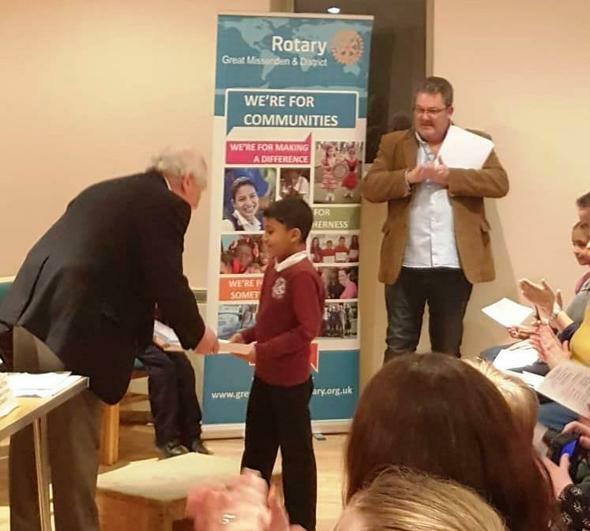 We are very of this achievement especially as the Rotary Club highlighted the standard of entries was particularly high this year from across the local area.